The FTSE 100 has paused for breath as we try to work out whether the recent dip is part of a bear move, or if the pull back is just a bit of profit taking in a general move higher. 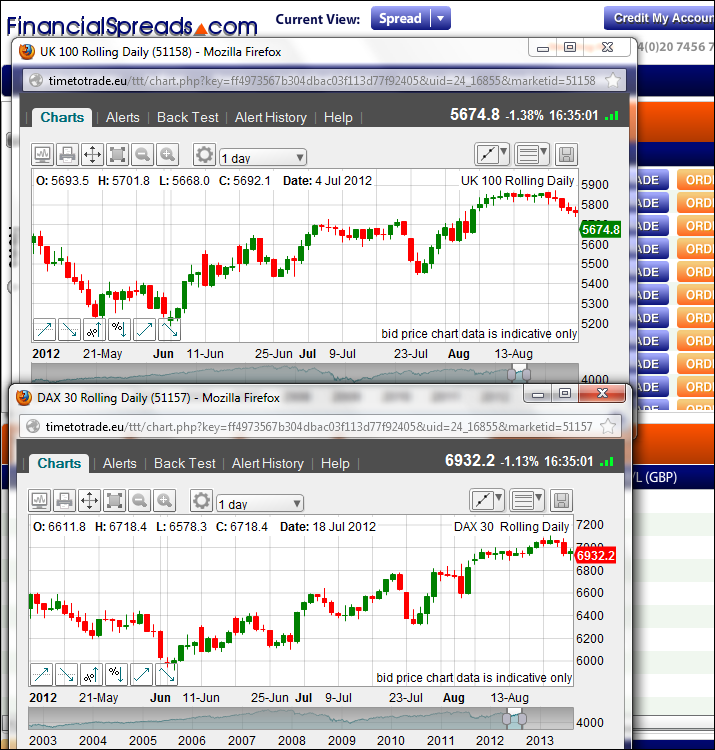 FinancialSpreads.com clients have been massively short throughout the autumn and have had rather a nice time of it. In general, they remain heavily short and so the retail expectation is obviously that more disappointment is on the way. The lower-than-expected tax take for Gorgeous George would indicate that something serious is happening. Nevertheless, the overall economic data seems to be slightly less pessimistic. Anecdotal evidence would indicate that business levels in the City have never been lower. IPO's seem to have effectively become extinct and trading volumes on the Exchanges and FX platforms are making last summer's appalling performance look stellar. Of course, the City does not represent the entire country. However, the politicians and regulators might finally be beginning to understand that 'smug bankers' pay for an enormous number of Doctors and Nurses. Hammering the financial sector over and over again seems to be finally having an effect. 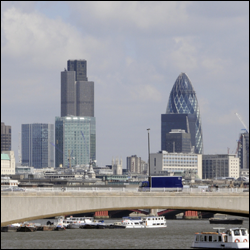 For our institutional flow, we now have much less business operating out of London. Instead, it is increasingly coming from funds who have upped and left for Sweden and Switzerland. Taxable profits that will no longer be the UK's. Support in the FTSE 100 is just below current prices at 5750/55 and resistance is at 5785/90 and 5805/10. All these levels are minor barriers however, with the big support around 5730/35 and major resistance at 5875/80. The DAX is looking to be bad news for the bulls, with the breakout through the bearish trend line failing to hold. We have now fallen back below the line, which is currently at around 6975/80. We must worry that whatever decision the politicians make over the next few weeks the markets will take them badly, even if they are good. At the moment, we have the extraordinary situation where governments are not just robbing Peter to pay Paul, but robbing Peter to pay Peter. This said, for the DAX, there is actually good support around the current levels, 6925, with further solid support at 6885/95.